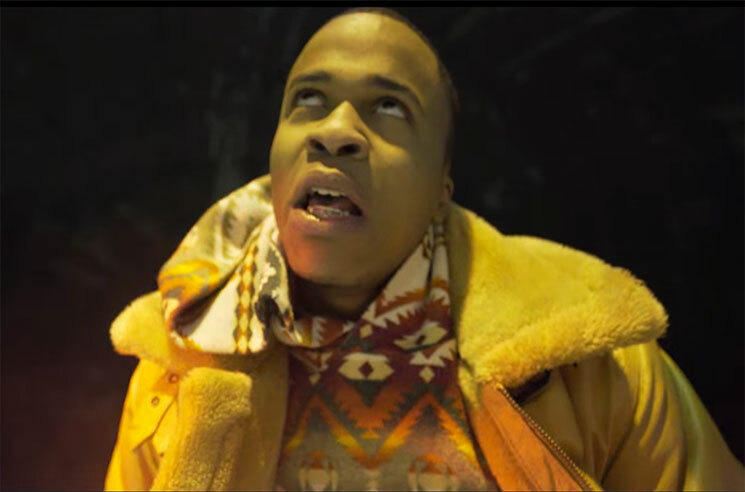 Having kicked off 2016 with the release of his Northern Lights mixtape, Winnipeg-born, Minnesota-bred rapper Allan Kingdom has now offered up a video for the project's title track. From busting moves out front of a towering snowbank to kicking it in the back seat of a car, Kingdom delivers his short, precise bars amidst a flurry of coloured filter changes and layered footage. It's a fitting set of visuals for the chilly track, with Kingdom unbothered by the cold no matter what snowy locale he's in. Watch the new clip for "Northern Lights" in the player below. Allan Kingdom Returns with 'Lines' LP, Shares "Know About It"